Morris Finance, who joined the team in 2011, will be seen on both Scott Pye and James Courtney’s headlights and c-pillar at this weekend’s event at Tailem Bend, and for the remainder of the 2018 Virgin Australia Supercars Championship. Morris Finance are one of Australia’s leading finance companies, providing finance, investment, leasing and insurance services to ABN holders, registered companies, individuals and sole traders. They also have extensive experience providing finance options including; asset finance, chattel mortgage, hire purchase, leasing, novated leasing and sale and leaseback facilities to a national client base, across a wide range of industries, for an extensive range of assets. Walkinshaw Andretti United Co-Team Principal, Bruce Stewart, is delighted to have a long-term, loyal partner back on-board. “Morris Finance have been a huge supporter of our team for an extensive period of time, and I couldn’t be happier to continue our journey together,” Stewart said. “Like us, they are a family team with outstanding values and dedication. They go above and beyond to give back to the community and are a business we are very proud to be aligned with once again. Morris Finance Managing Director, Nathan Murray, said he was thrilled to continue the relationship. 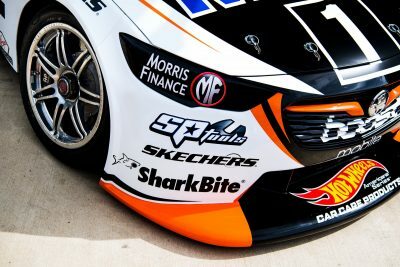 “The team at Morris Finance are once again very excited to be partnering with Walkinshaw Andretti United,” Murray said. The Morris Finance backed Mobil 1 Boost Mobile Racing Commodores will take to the new Tailem Bend circuit today, when practice 1 begins at 11:15am AEST.